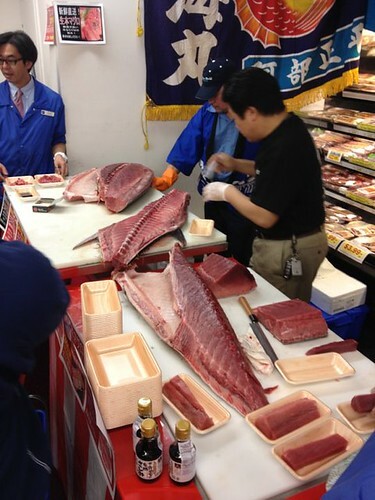 On Feb 11, 2012, I went to Nijiya of Mountain View, California to watch Tuna cutting show. I was lucky enough to get one of only two collars of half-farm, half-wild tuna fresh out from Mexico, for only $23. 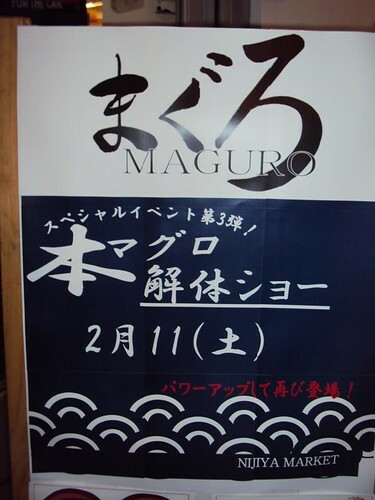 The shape of the collar of a tuna resembles kama, a traditional blade from Japan. I simply grilled it with salt rub after extracting kama-toro. 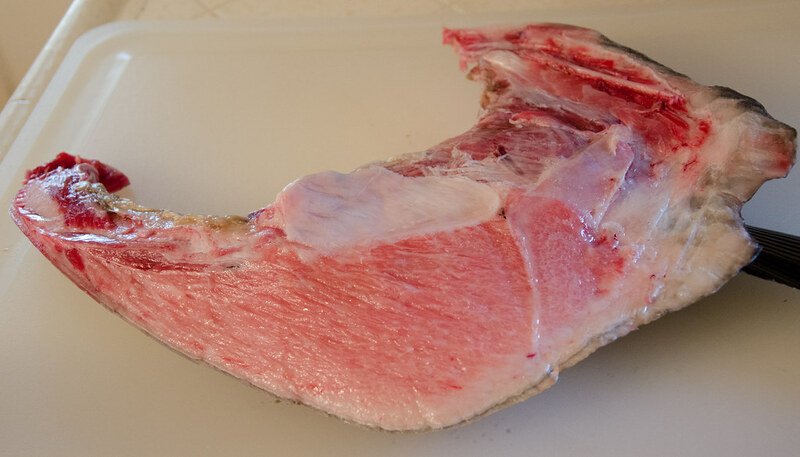 This beautiful, pink, triangle meat is called kama-toro, super fatty meat that I cut out to make sushi.